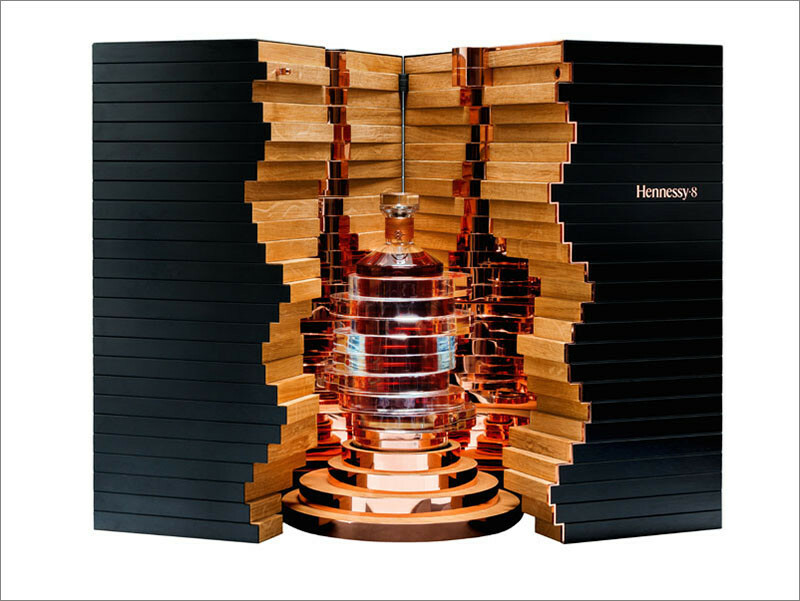 The French cognac brand Hennessy is celebrating the 250th anniversary of Hennessy’s establishment, by working with Arik Levy to create a limited edition bottle and case. 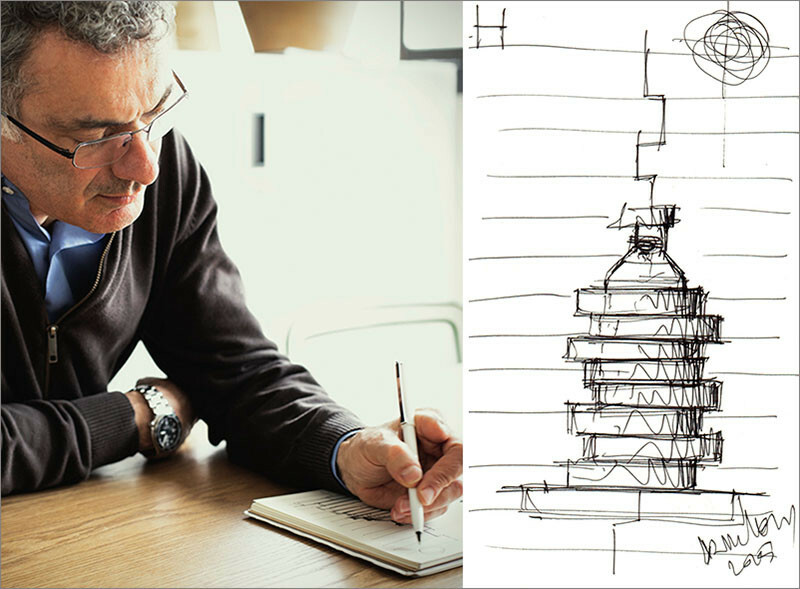 Starting out with a sketch, Arik Levy designed the bottle, a crystal sculpture with 8 inset rings, with each ring representing one of the 8 generations and 8 eaux-de-vie (a distilled beverage made from fruit other than grapes) of Hennessy. 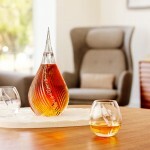 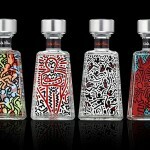 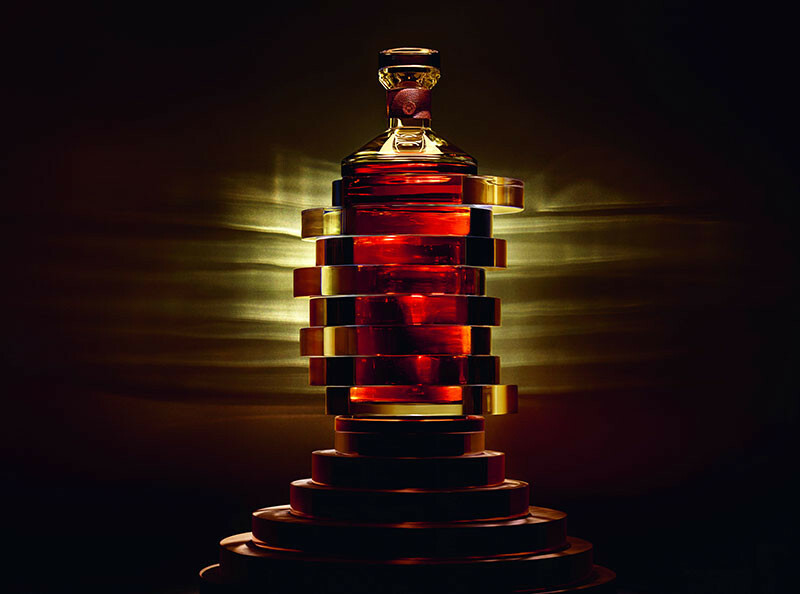 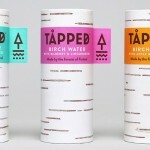 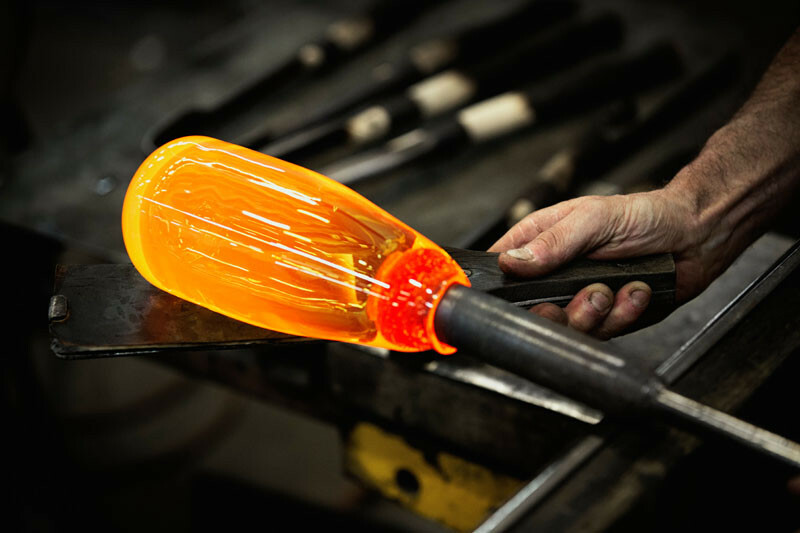 The bottle is then made of hand-blown Baccarat crystal. 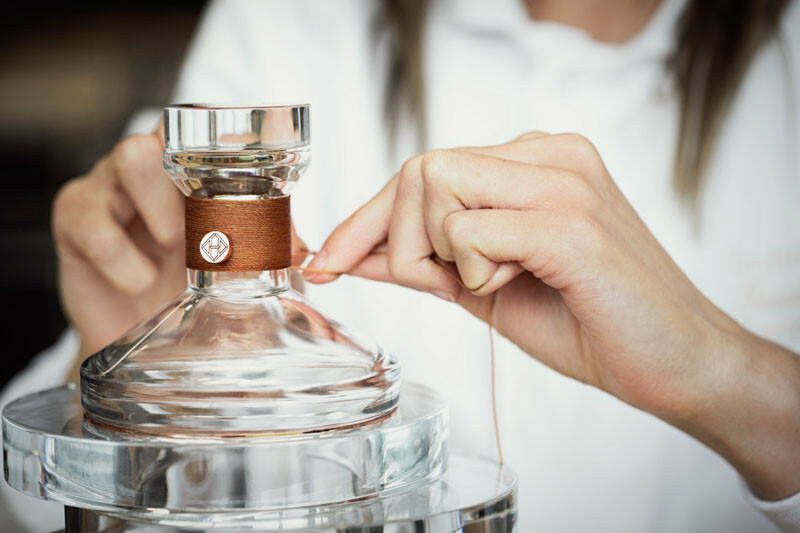 Once the bottle is completed, finishing touches are added, like this copper silk ribbon that is applied by hand, and sealed with an “H” on the bottle’s neck. 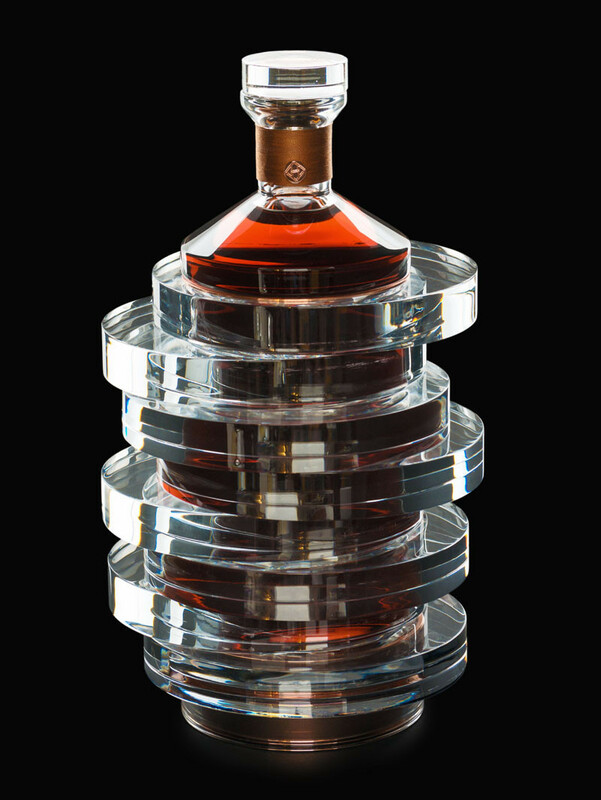 Here is a look at the completed bottle. 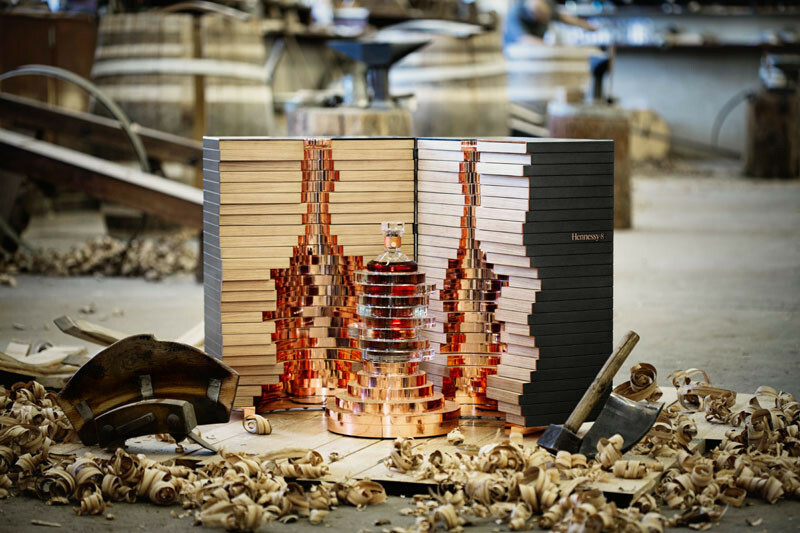 A custom designed chest was made to hold and protect the bottle. 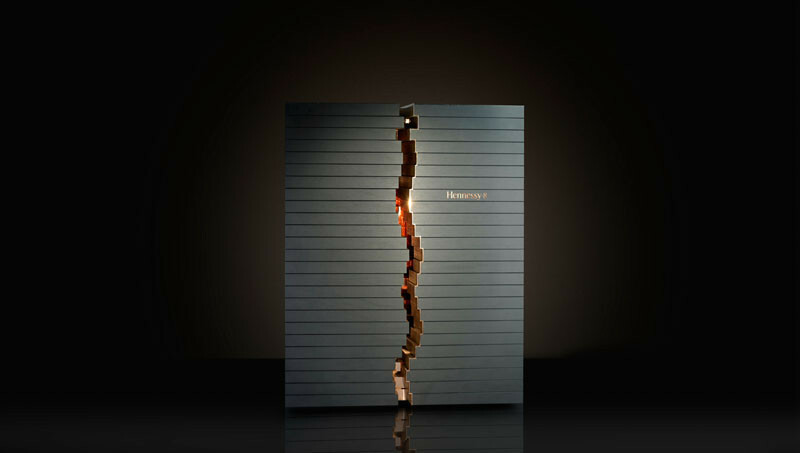 Inside the chest, each of the 25 layers represents 10 years of Hennessy’s history and corresponds to the 25 layers on the outside of the chest.